From the city's grandest buildings and national treasures to quirky corners, arts collectives and social enterprises, Edinburgh's arts venues often include marvellous places for musing and munching. 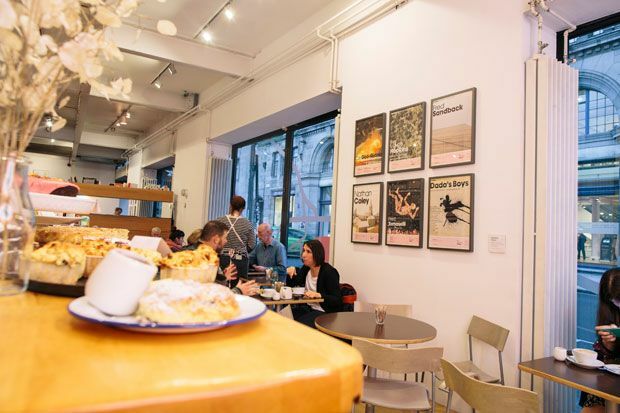 Tourists will gladly stumble upon them and locals will return again and again for a good cup of coffee and an artfully constructed bun – even when there isn't any time to take in the exhibition. Their menus are as varied as the venues themselves, yet they all have one thing in common: a unique identity shaped by the spaces and communities which host them. A great space to enjoy homemade food, and it's open nice and early too. Does indulgence call? Head to this serene space for an afternoon tea that tastes as good as it looks. A family-friendly café where the thoughtful menu options are as pretty as the nearby art. The perfect blend of classy décor, warm service and excellent local produce for lunch, brunch and afternoon tea. The Scottish Café and Restaurant is currently closed as part of the Gallery's transformation project. We'll update with an opening date when we can. Scottish ingredients showcased with Contini high-class in picturesque Princes Street Gardens. Fine dining lunches and elegant afternoon tea surrounded by books. Focused on quality food and healthy eating, this family-friendly cafe supports exposure to art for all ages.